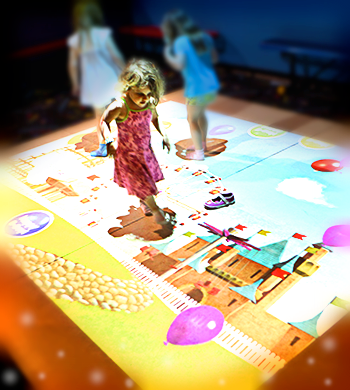 The kids will love our new interactive flooring game...endless games...interactive fun for all ages! 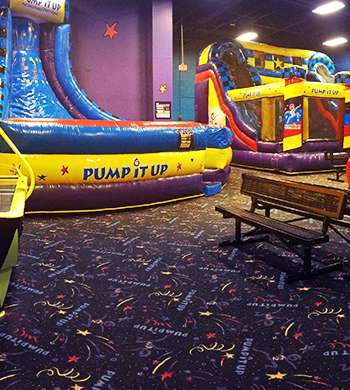 The kids wil love this wonderland of fun! 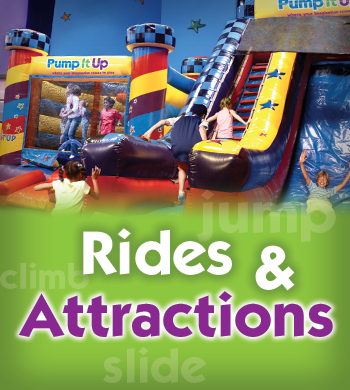 Climb up one side, go across the bridge and come down the bumpy slide! Sure to be a favorite ! 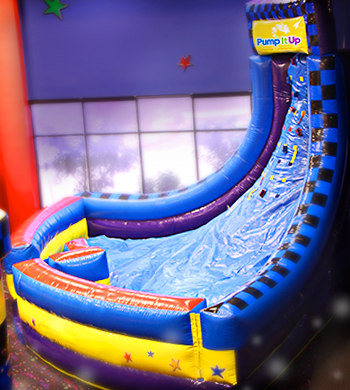 This kids will love going down our 20' Slide! 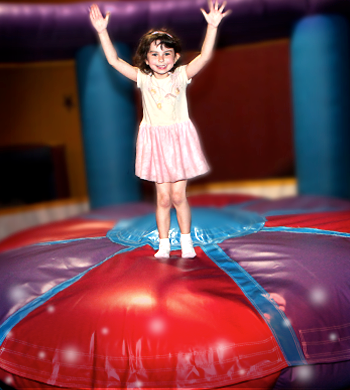 Or, take some shots in our Basketball Bouncer where the kids could just bounce around, play basketball or the older kids can take on inflatalbe boxing with our OVERSIZED boxing gloves! 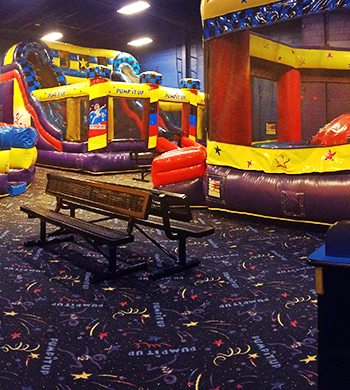 The kids will have a blast! 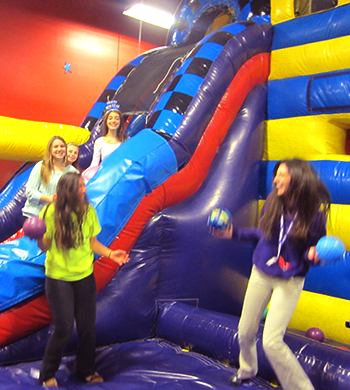 Our giant obstacle course is a hit in all of our parties! 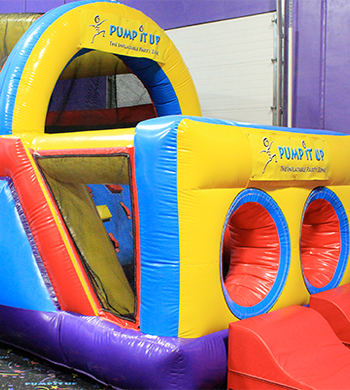 Come race your friends through our 40' Obstacle Course! Sure to be a favorite of yours! 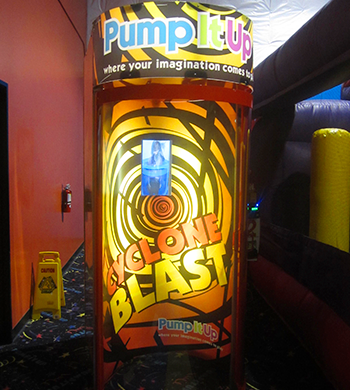 Add our Bubble Blast experience to your next birthday party or any event that you host here at Pump It Up! 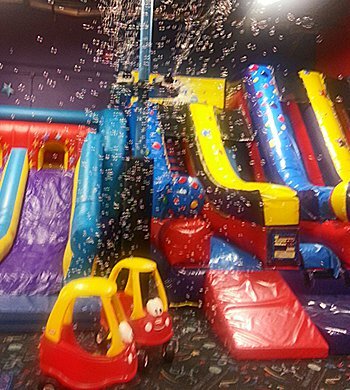 The kids LOVE bubbles and they will LOVE see a giant bubble shower at Pump It Up!